The New York Times, USA Today, Wall Street Journal, and Publishers Weekly Bestseller! Grit, merit, providence, individualism, thrift—and above all, pride in our country: These qualities, among others, are the reason that hundreds of millions of people worldwide look to America for hope, inspiration, and opportunity. But it’s precisely these virtues that now are under attack by the radical Left of Barack Obama, Hillary Clinton, Bernie Sanders, and their followers. America as we know it is eroding before our eyes and becoming what Fox News Channel personality and co-host of “The Five” Eric Bolling calls a “politically correct nanny state.” The rewards for individual achievement and hard work, our basic constitutional rights, religious faith, national identity, and capitalism itself, are being replaced by a dangerous socialistic ideology that is the polar opposite of what our Founding Fathers intended America to be. Wake Up America identifies the nine core virtues of our nation and demonstrates why each one is so important to our history and our future. It’s time for us to wake up and heed the clear-cut warning signs that America is heading in the wrong direction--before we’re too far gone. A celebration of America that is informed by Eric Bolling's personal story, Wake Up America is an urgent call to arms for America's citizens to preserve what makes us great. A very cold day in America. 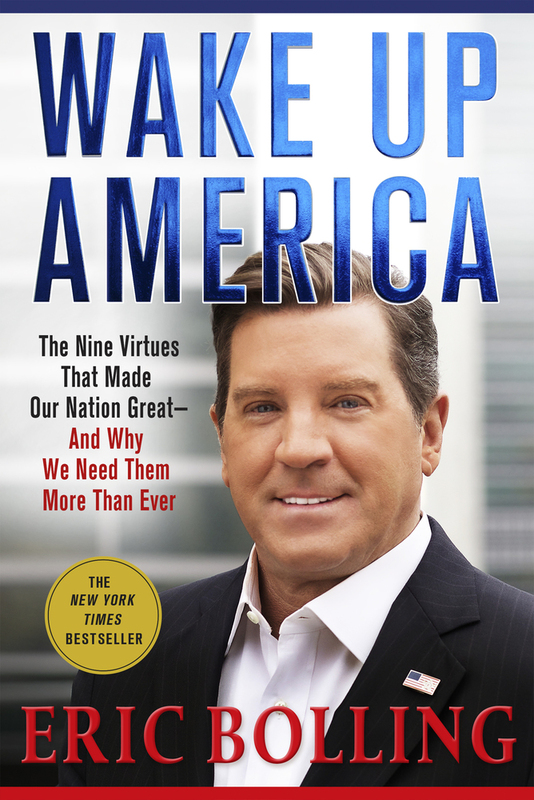 Eric Bolling is the host of "America" on CRTV, and the New York Times, Wall Street Journal, USA Today, and Publishers Weekly bestselling author of The Swamp and Wake Up America. A native of Chicago, he lives in New Jersey.